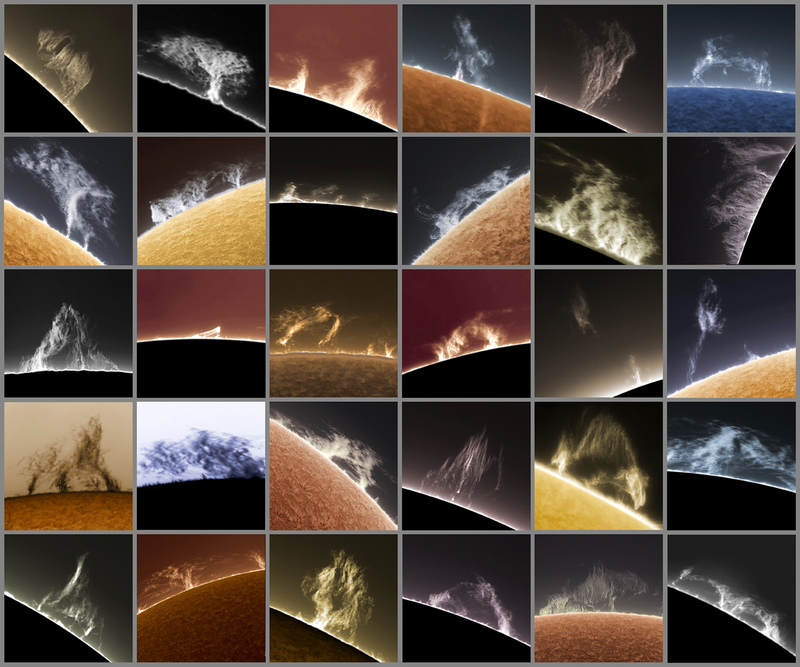 A work in progress, these images of solar prominences have been collected from 2005 - 2012. An older presentation with titles can be seen here. captured with various telescopes and cameras through my 90mm Coronado Solarmax hydrogen alpha filter.